Ferg Family Adventures: Nursery Help! Even before we found out if Baby Ferg was a boy or girl, I knew I wanted to do the nursery in navy. I love the preppiness (is that a word?!) of the color! 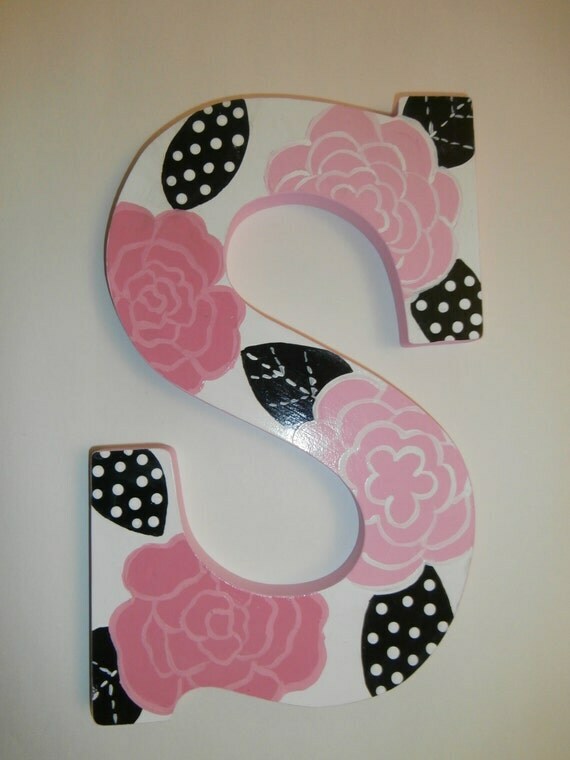 Now that I know we are having a girl, I am going to add in as much pink as possible, with a little Carolina blue (duh) and maybe even a smidge of gray. First, like I mentioned in the bumpdate, Angela (who knows my obsession with navy and pink...I mean, HELLO, they were my wedding colors!) found this duvet cover at the PBKids outlet in Ohio and got it for me! I am planning on using it as a "blanket" to drape over the glider (which will be white/ivory). I also plan on getting the matching crib sheets. Unfortunately, they are sold out of the bumper, but I read that you aren't really supposed to have bumpers anyway because they can cause SIDS. The rest of the crib sheets I plan on getting are navy (navy chevron, navy dots, etc.). The furniture will all be white. or pink curtains and rug? And should I do light pink or bright pink? And should I keep the rug and curtains simple, or do a design like chevron or quatrefoil??? I can't seem to find anything I really like on Pinterest, so I am trying to piece this all together in my mind. All I know is that I LOVE that Mallory bedding from Pottery Barn Kids, and I plan on getting as much stuff to match it as possible! 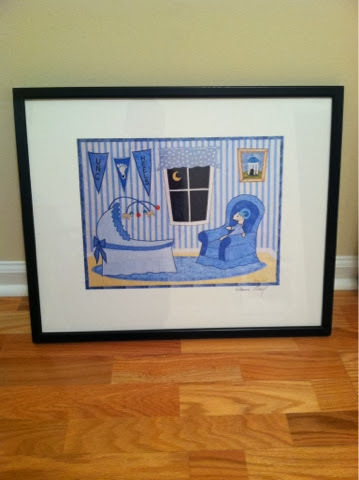 Oh and also, I am trying to tie in this picture that Trav's parents gave to us for our nursery! I love it so much, I really want to use it! Will it work with the navy and pink?!?! I appreciate any input/guidance from those of you who are better interior decorators than me! I think you should go with a light color for the walls - grey or pale pink. Then after you paint or have a color chosen it will be easier to choose curtains and rug colors. I think the light pink for the walls and use the navy in your accents. 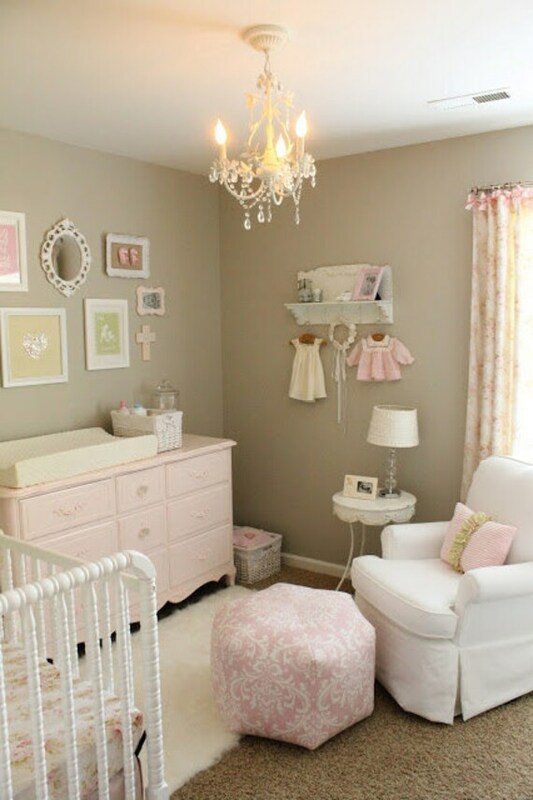 It just reminds me more of a soft nursery for a baby girl. 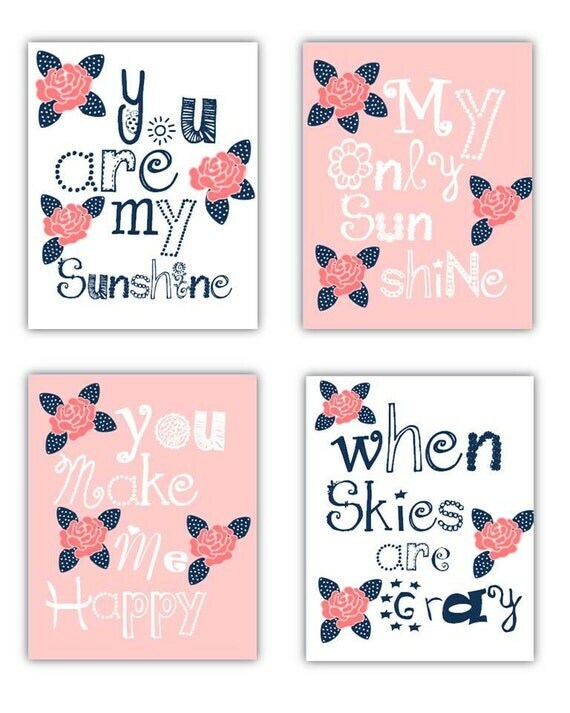 I think that picture would look great on the walls with them being light pink and then pops of navy in the room! We have a blue/grey shade of paint in Shelby's nursery. I loved a lot of PBK's stuff too but my Mom urged me to look elsewhere. I went to a fabric store and ended up having everything custom made. The curtains being the main accent. I can't remember if you have access to my private blog but search Shelby's nursery. As for bumpers.. skip them. I'm not much help, but I love the color scheme! Where did you find the pink quatrefoil print rug???? It's from Rug and Home in Gaffney, SC! You can paint the frame pink. Hello! Your blog is adorable! I know this is a long shot, but I have been looking everywhere for the Mallory bedding. Obviously, you can't order it any longer. I was wondering if you would have any pieces in Mallory you would be interested in selling? Thanks in advance! 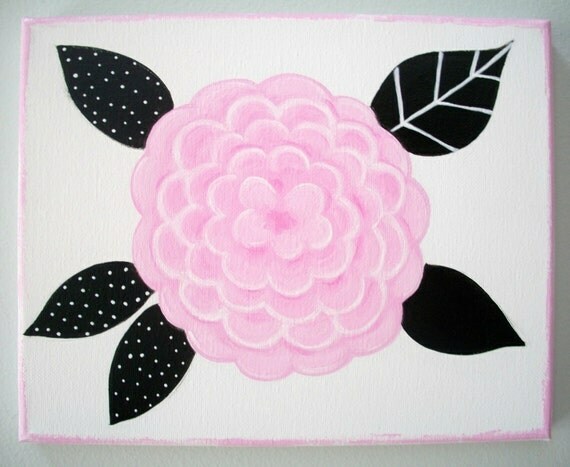 where did you find that piece of art with shades of pink and a navy stripe? i have the same crib bedding but want to incorporate pinks since we're now having a girl. thanks!